Janome DC2013 is a perfect model to sew with. However, this claim alone can never make one purchase it. This is because that not every ‘perfect’ thing fits everyone the best. Right? Indeed, everyone has different wants. And experience is required to see if the machine you have purchased is suitable for you or not. Now, one just can’t keep purchasing all the sewing machine models until one finds the right one. Don’t you agree? To your fortune, we acknowledge this and are here to aid you! From purchasing this model to using it, and presenting an in-depth review; we have done it all for you! 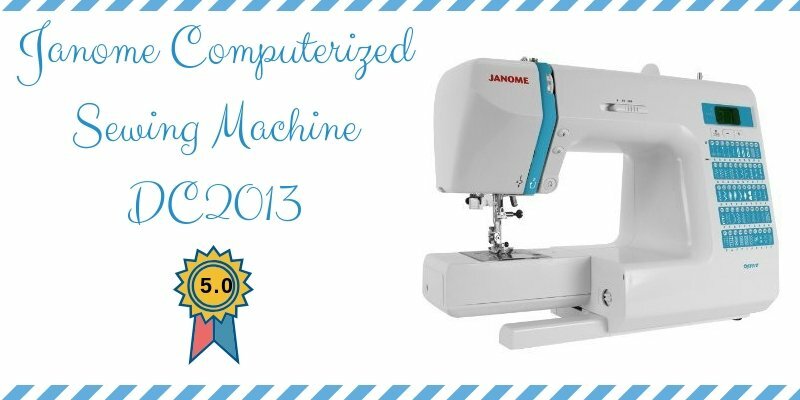 This post specifically talks about the Janome DC2013 computerized sewing machine. It is also made sure that everything written is honest and informative. The post features everything about this sewing machine so that you can make an informed choice. Excited to unravel? Brace yourselves for below is everything that you need to know! 7 More About The Features! The Pine Sewing Machine factory founded in 1921 changed to the Janome Sewing machine Co. Ltd in 1954. Ever since the brand came into existence, it has held a reputable position. In fact, it is considered one of the best brands in town. This is because the sewing machines made by Janome represent creativity and innovation. To your surprise, despite this, all the machines they produce are very basic. So, they are relatively easy to use and user-friendly. Sounds amazing and interesting, don’t you agree? 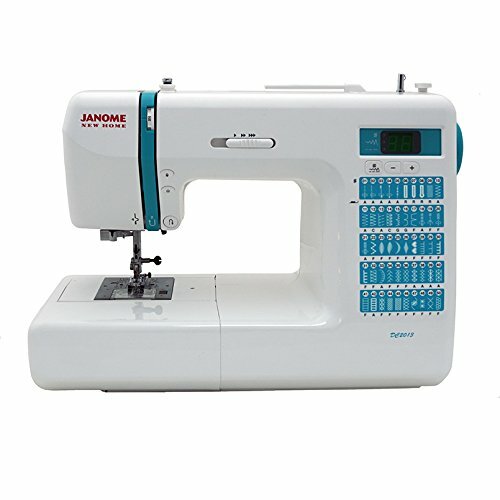 Furthermore, Janome is a very well-known brand because of its high-quality sewing machines. These machines are also budget-friendly and lie under different category headings. So, there are a wide variety of options for you to choose from without having to worry about your budget. Do you want variety for your diverse sewing needs? 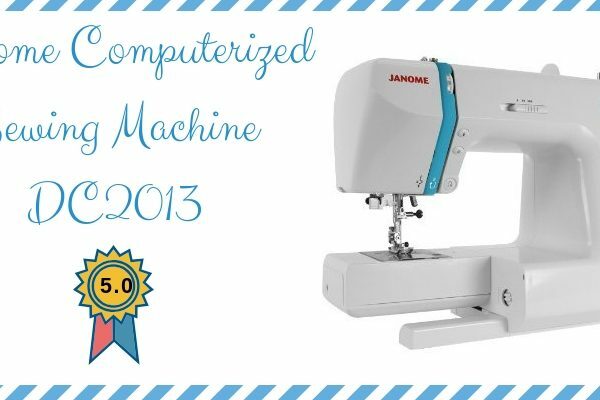 If yes, then we present to you the Janome Computerized sewing machine DC2013! Let’s first have a brief overview of the machine. From its features, specs, to its appearance and its accessories that come with it; everything is mentioned below. So, make sure you go through the details thoroughly to determine if it’s the right choice. Keep reading to find about it! Stitches: The machine comes in with 50 built-in stitches. Buttonholes: The model features 3 one-step buttonholers. Superior Feed system: The sewing machine has a superior feed system so that you can enjoy high quality stitches. Stitch selection: It offers an easy stitch selection which is computerized. Manual: A manual also comes with this product. Thread tension control: Automated control for thread tensions is available. Built-in needle threader: This is to make needle threading easier. Presser feet: The machine features snap-on presser feet as well as an extra high presser foot lift. Needle up/down: The model exclusively offers a memorized up and down needle system. 7-piece feed dog: The unit comes with a 7-piece feed dog for better fabric management. Free arm: For the sewing of cuffs, sleeves, and leg pants a free arm is available. Drop feed: A suitable drop feed is also present. Speed Control Slider: You can also control the speed when using this machine. Locking stitch button: Using this feature, one can lock the stitches. Easy reverse button: The machine offers an easy reverse button as well. Bobbin winder: An auto-declutch bobbin winding system is also present. LED screen: The DC2013 features a bright LED with easy navigation keys. Bobbin: Top loading full rotary hook bobbin is featured by this model. 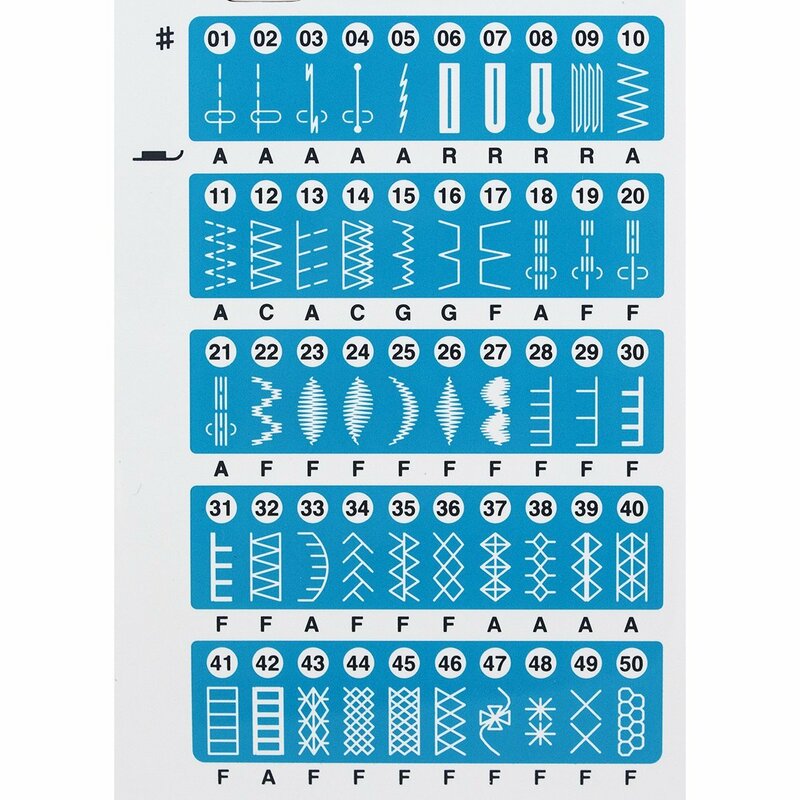 Length and width of stitches: You can customize the width as well as the length of your stitches. The maximum stitch width is 7mm. Meanwhile, the maximum stitch length is 5mm. This machine is a computerized one. It has a fancy look and a computerized persona. Moreover, it is definitely the machine you would want to carry around! Overall, its looks, coupled with its features, make it stand out of the pool! This sewing machine also comes with certain accessories. These accessories are named as the Standard accessories. To find out about them, keep going ahead! Janome DC2013 Sewing Machine is a computerized machine. This model is indeed worth a purchase. Moreover, it is a highly versatile, and a handy machine. But is that it? Definitely, not! The model has much more to its story. The machine offers a 7-piece dog feed. This helps you manage the fabric better and makes the machine versatile. It also has 3 one-step buttonholers. These buttonholers help you create perfect buttonholes. Impressive, right? Moreover, the machine has 50 built-in stitches. So, the DC2013 can cater to a variety of projects; from your clothes to your home décor items, everything can be done! But what is the real catch? All these features coupled with other commendable features make the machine extremely easy to use and user-friendly. Thus, it is a good option for all the beginners out there! However, the machine, just like every other thing, has some downsides. Curious to find out about the pros and cons of this sewing machine? Then, keep reading for you shall know soon about this! Has a good automatic needle threader. It has a bright lit sewing area. The machine produces high quality stitches. Has an easy and detailed manual for understanding. It can handle thick fabrics very well. We highly recommended that you place your orders through official websites or official retailers. However, you may make a purchase through any source you wish. Since Janome products are well in-demand, you’ll be able to find them easily online and in your local shops too. 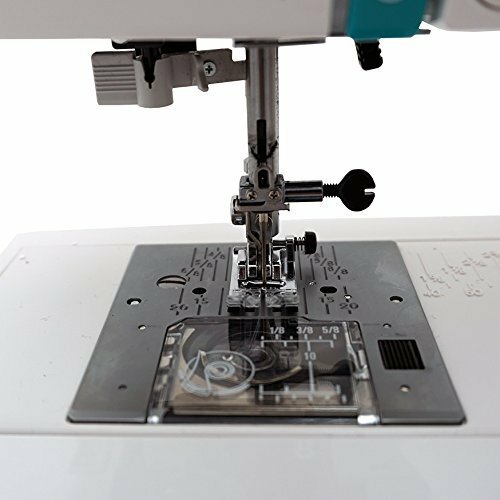 Just make sure to buy the sewing machine from a trusted and an authentic or reliable source so that you get genuine products. So does this sewing machine tick all the boxes you’ve created to find the ideal computerized sewing machine? Does the DC2013 come with all the features looking for? 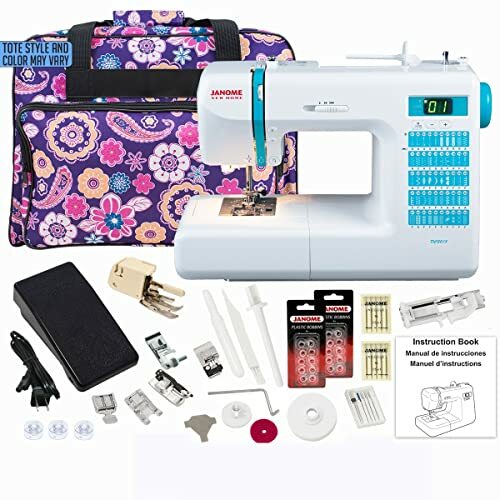 This machine indeed is all you need to cover a plethora of sewing projects. So get your machine, and start right away! What is it that you are waiting for? Happy sewing!